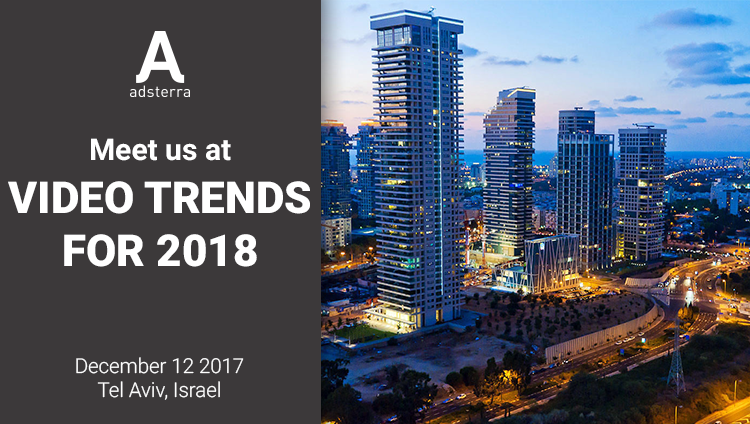 December, 12 meet Adsterra representatives at Video Trends For 2018 Conference at Tel Aviv, Israel! This year Video Trends For 2018 would gather over 800 attendees from all over the world to share experience and knowledge and to speak business. As online video is gathering pace and soon could concentrate over 80% of consumer internet traffic it’s extremely important to keep abreast. 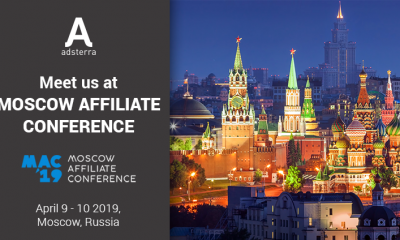 We would be happy if you come to meet us and discuss our future and present partnership! Schedule your meeting today and meet us at Video Trends For 2018!